Love plants, but short on outdoor space? Or feeling inspired by striking terrariums and succulent gardens? Eager to create a unique home brimming with greenery? Then this is the book for you. 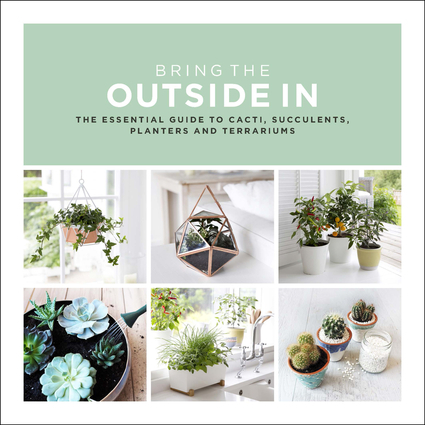 With stunning photography and expert step-by-step tips, Bring the Outside In reveals everything you need to know to help your plants thrive, from dramatic statement foliage and miniature citrus trees to table-top terrariums and hanging planters. With chapters on orchids, cacti, herb gardens, and chilli plants, your home will be flourishing in no time. Val Bradley is a trained horticulturist and the Gardening Correspondent at The Sun. Her previous books include The Complete Guide to Houseplants.